A hotspot for water wastage. Not because it’s unavoidable but simply because we are careless and sometimes not so properly informed. If your landlord installed a dishwasher, use it! Contrary to popular belief you waste more water washing your hands and washing the plates than loading up the dishwasher and pushing a button. Another thing we need to remember is to avoid washing fruit and veg under a running tap, fill a bowl and use this water to feed your kitchen herbs. Fully equipped with the biggest water wasters in the house, but wait, this can all be changed. Pop a heavy object in your flushing canister to reduce the amount of water used when flushing the loo, check that your sink is not leaking and remember and turn off the taps when brushing your teeth, or try brushing your teeth in the shower. Yes, the shower, forget about baths, those are to be enjoyed on special occasions they waste so much water it’s too 1990s. 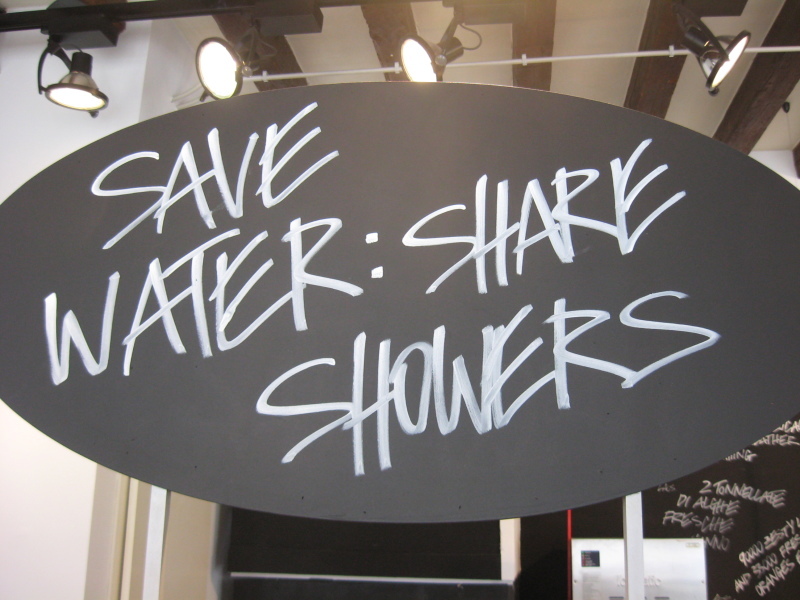 Have a quick shower and spend more time roaming around your luxury rental, that’s way better. Run your washing machine on a full load and preferably on a quick cycle of 30 minutes, if you're desperate for that lucky interview shirt then give it a 15-minute cycle and pop something else in there, you’re sure to find some other ‘dirty’ items. If you are thinking of using your dryer, go ahead but make sure it’s on a gloomy day when the Maltese sun is not shining over your rental home’s roof or terrace. Best cleaned when it’s raining but sometimes in need of a good wash in the summer. Remember to sweep as much as you can, the dirt is mostly dust. Top Tip: collect the water from your tumble dryer and clean your yard or washroom with this reserve, it might not be enough but every little helps when you’re cutting down on costs. We all hate the following; washing the house, washing the dog, watering the plants. Well, Mother Nature hates it too because we waste so much water when we are doing this. Like most homes in Malta, yours most probably features a dehumidifier, well why not use this water to do any of the annoying errands mentioned above. This serves as a double bonus, the dehumidified draws in all the extra water from the air and collects it in a container for you to wash your poodle or your water your roses. Score. Ultimately when trying to cut down on your water bills, this is a very personalised routine that needs to cater for every rental home’s needs. If it’s having a new water heater installed or filling a bucket up while you shower, there are many ways to conserve and protect the water supply in your house and eventually save some money for more useful things. Like a new pair of shoes!